The best replacement for the blue box I've ever made! I’m just gonna come right out and say it. When discussing cheese and pasta, sometimes one must be blunt. I like stove-top macaroni and cheese more than baked macaroni and cheese. This is the truth, straight from me to you. I mean, that’s not to say I won’t consume a mound of baked mac rapidly if it’s served at a potluck, a cookout, or a picnic. And I won’t say no to a fancy mac, like this one I made last year. But the macaroni of my dreams is prepared on the stove-top: al denté, piping hot, and swimming in thin, just-a-little-bit-spicy, orange cheddar cheese sauce. Is this a product of being raised on the blue box? Perhaps. Is this a product of wanting my pasta so firm that it nearly crunches between the teeth, a state that is nearly impossible to achieve when baking pasta? That’s probably reading too deeply into the whole thing. Maybe I don’t like the breadcrumbs that typically accompany a baked mac? Maybe I don’t like the waiting? One significant downside of loving so much a mysteriously created product of food science is that it can be incredibly difficult to replicate at home. What the hell is that orange powder anyway? 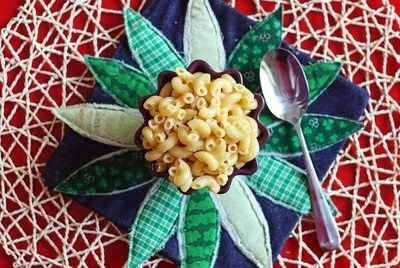 I theorize it must be fairy dust, for I have searched for years for a mac and cheese recipe that, if not identical, could at least be a satisfactory homemade replacement to the mac and cheese of my childhood. Friends, I HAVE FOUND IT. 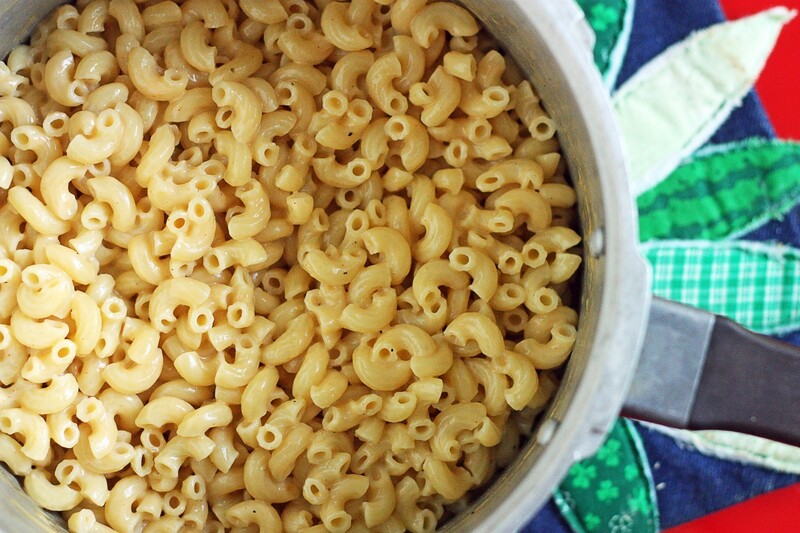 I beg, beg you to try this mac and cheese. It’s pretty dang easy, fast, and delicious. Once the noodles are done and the sauce is complete, the two are joined in one of the greatest arranged marriages of the culinary universe. And it doesn’t even require mysterious orange fairy dust. 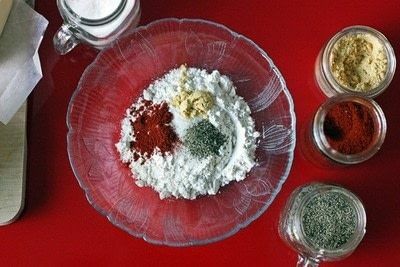 In a small bowl, combine flour, salt, ground mustard, paprika, and black pepper. Mix well with a fork and set aside. Measure out milk and grate the cheese and set aside. Once butter has melted, add the flour mixture to the butter. Use a roux whisk or a large fork to mix, whisking constantly. The mixture will begin to smooth out. 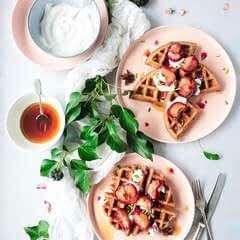 Once it has cooked for about three minutes, slowly add the milk, whisking the entire time. At some point, the water in the other pot will come to a boil. Add the pasta and cook to al dente. Once all of the milk has been added to the roux, increase the heat slightly to just below medium. Whisking constantly, the mixture will begin to thicken to a consistency closer to cream than to milk. It should never come to a boil. 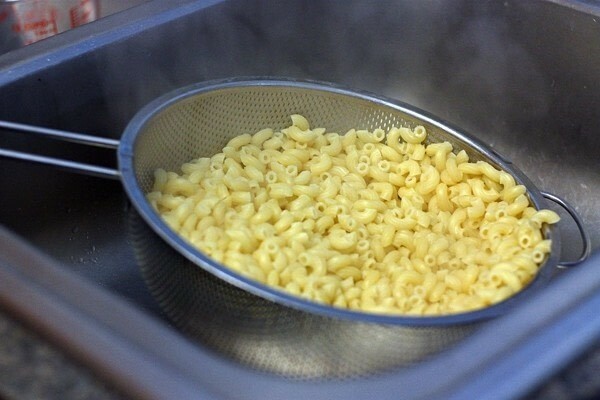 When the pasta is cooked to al dente, drain into a colander but do not rinse. 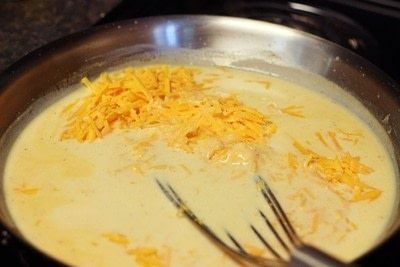 The starch from the cooking water will help the cheese sauce to stick to the noodles. Return noodles to the pot and cover until the cheese sauce is ready. Turn off the heat under the sauce mixture and add the cheese. 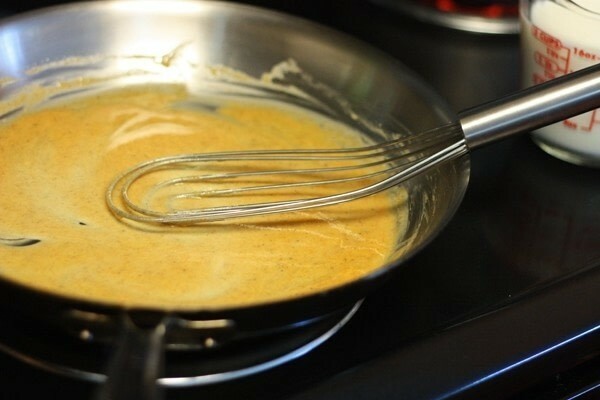 Whisk for another minute or two until cheese has melted completely and the sauce is smooth. Pour over the drained noodles and mix well. Best when served immediately... enjoy!